Live Media webinars consist of high quality audio with synchronized presentation slides and a chat feature. Need more information on webinars? Click here. Not what you’re looking for? Looking to add video to your webinar? 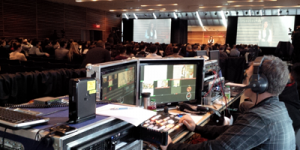 Try our Live Media Webcasting Services. High Quality Webinars at Affordable Prices.